For the last three years, Google is making significant alterations to its Search algorithm. Even though most of these are minor tweaks, it occasionally sets forth a major update on the algorithm that brings an impact on the search engine in dramatic ways. In this article, we will bring to you different Google updates, how they impact your business, how you can manage your sites and how a review platform like AirG Reviews can help you maintain google rankings. Every business aims to move up the grid on relevant local searches and gain new customers. It is the reason why it is fundamental for the marketers to keep up with these changes so they can understand the changes in ranking and organic web traffic. Eventually, it leads them to improve the search engine optimization. It makes us understand that each update from Google is designed to handle a specific issue which they believe is going to impact their search results in some way and sometimes when they want to highlight websites of greater quality. READ How To Use Technology To Grow Your Business? Initiating in February of 2011, the Panda update was specifically targeting websites that have low-quality content. Google was upgrading the content-centric update. This is to ensure that websites of qualified content get more access as compared to the ones where the details were of low quality. In simple terms, Panda was giving users a better-quality search result. Panda does this by giving the pages a quality-based score that derived from evaluating the unique quality of the content. Are you a business owner and you aim to figure out if the Google update has hit your home? Then you need to start from the beginning that is, 2011. Take a look at the series of updates in this domain and find out your shortcomings. Once done, you can then move forth to recover from these shortfalls. It may mean that you have to refine the content, cut out the pages that do not provide enough details and get rid of the outdated content. To further avail, you may use online tools such as Copyscape or Screaming Frog SEO Spider to remove offensive and low-quality elements from your pages. This update moves a site down the grid if webspam issues are frequently appearing on its page. The impact of this was felt mostly by the portals that had unnatural backlinks and were using spammy tactics. You need to check out if your website is sticking to any of these problems. For this, you can go through Google’s Webmaster Guidelines that can help to point towards any misleading behavior. Your business is going to downgrade if the website contains hundreds of backlinks. Where these backlinks are stemming out from the small number of referral domains you integrate within. Hence, it is necessary that you ensure all the listings on your web contain a URL that points to a relevant local page on your site to improve the local listing visibility scale. This update was the beginning of many more to come. 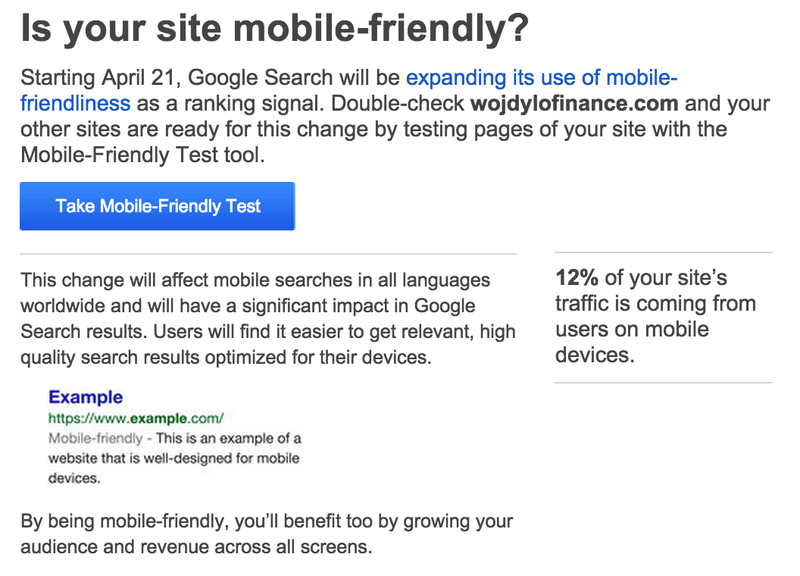 It focused mainly to prioritize the web pages that were mobile-friendly. As per Google reviews, the websites on top are mostly the ones that enhance the experience of the users. They must have the readable font, viable categorization of pages, tap targets, and overall improved usability. The bottom line, your website might fall down the listing if you do not take enough steps for mobile optimization. Take mandatory steps to decrease load time, get a befitting layout for each page, make sure the number of backlinks stay limited and authentic and last but not the least, make sure that the media you incorporate is supportive enough. This update works to operate search engines through Google Map results and the 3-pack. Focusing particularly on the rank positions and proximity, it diversifies the local business. It means that the business that is outside the city can now have improved visibility. Along with that, the Possum update weeds out the businesses that have more or less the same information as the other listings. Although Google cuts out redundancy for the users through this enhancement, it affected many businesses adversely. For instance, one business is located in a complex that has multiple other services like lawyers or doctors. It can turn out to be a disaster for each of them. Because the chances of them showing up in the map pack after the update go down. The best tactic to handle this is to have a single quality listing to acquire traction on Google. The Hawk Update of August 2017 tends to tighten the proximity filter. So that the business that is situated near to another will not filter out another listing. However, the ones with the similar address are still going to flake off. This reversal makes it fundamental for the agencies to take steps for staying ahead of the game. They have to use digital marketing resources, create content with a local focus and expand their local profiling. Thus, the update makes it crucial for the web developers of each business to use improvised strategies and earn enough exposure through marketing. To be the ringleader in the crowded web space, you need planning, sophisticated strategies and constant upgrading. By these steps, you will not only secure top position on the search engine, but you will also receive appreciation on online review forums such as, AirG reviews which make it increasingly possible for you to obtain more traffic. So, to combat the updates need a multi-dimensional preparation from your end. This helps you to witness your web traffic grow leaps and bounds.